A burndown chart is a visual representation in graph form of work left to do against the time left to do it in. The concept was initially introduced in 2000 by Ken Schwaber, a software developer, product manager, and industry consultant. It is extensively applied in Scrum Agile development. The methodology and practice based on the value and principle expressed in the Agile Manifesto is defined as Agile. These include things like collaboration, self-organization, and cross-functionality of teams. Scrum is a subset of Agile. It is a framework that is used to implement Agile development. The chart itself is a large graph relating the quantity of work remaining (backlog) on the vertical axis and the time expired since the start of the project on the horizontal axis. Future and past time are also shown as well. This makes up an “information radiator.” A general term for any display that is either written, drawn, printed or created electronically and placed in a highly visible location. As tasks are completed, the graph clears out to zero. The burndown chart is put together from the sprint – a predetermined timeframe within which the team completes sets of tasks from the backlog – backlog and illustrates progress made toward the sprint forecast. They are used to predict a project team’s likelihood of finishing their work in the time available. They’re also great for helping the project team stay within scope and know when they are beginning to drift from it. The charts are always displayed somewhere on a wall of the project room. Their visibility encourages project team members to continually evaluate their performance daily and confront any difficulties sooner and more decisively. It also helps them work more effectively to achieve the project’s deliverables. 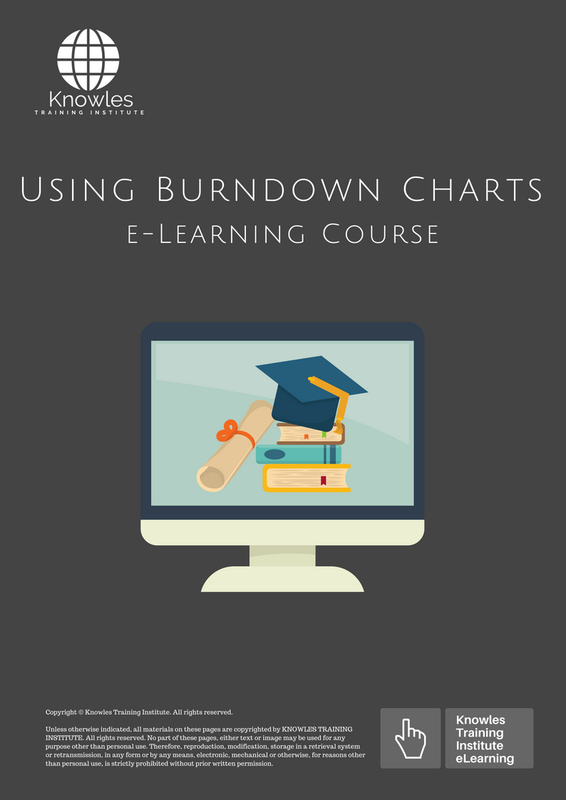 This course describes what a burndown chart is and the benefits and challenges of using it. 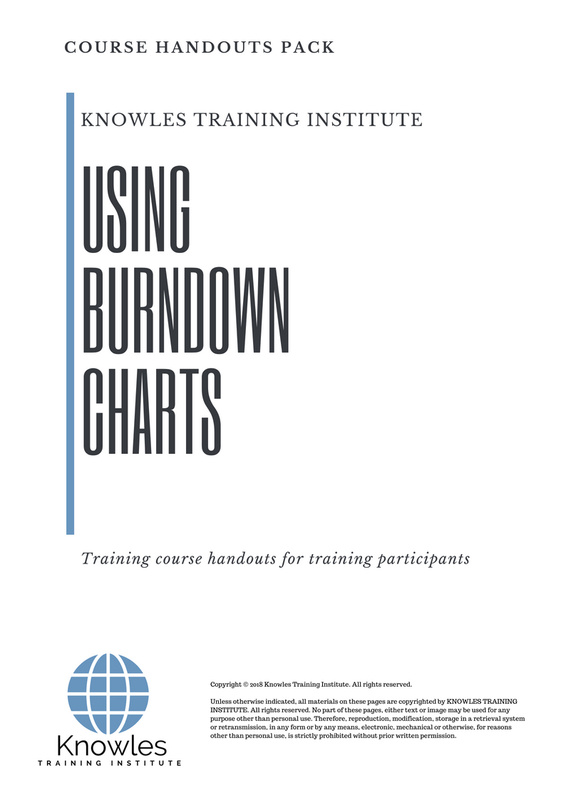 Participants, at the end of the course, have the skills, tools, and knowledge to build a burndown chart and use it to manage their projects more effectively. 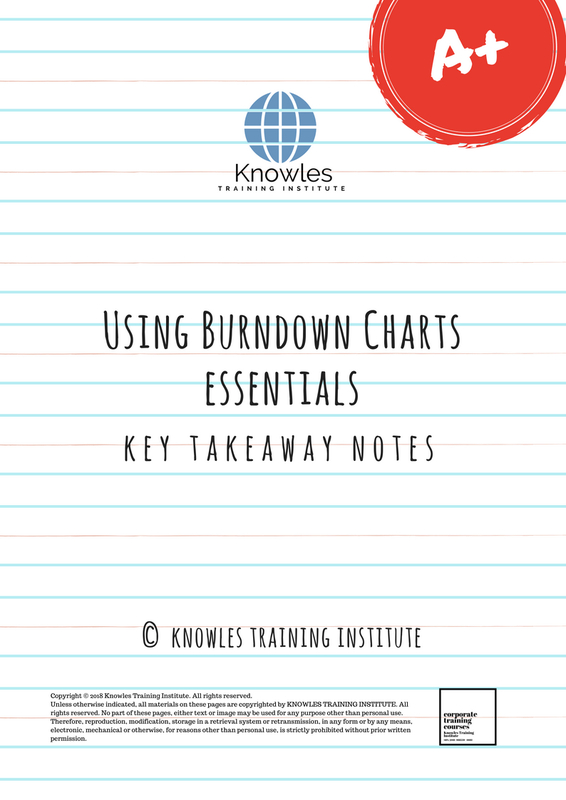 This Using Burndown Charts workshop is ideal for anyone who would like to gain a strong grasp and improve their Using Burndown Charts. The duration of this Using Burndown Charts workshop is 1 full day. Knowles Training Institute will also be able to contextualised this workshop according to different durations; 2 full days, 1 day, half day, 90 minutes and 60 minutes. ● Respond flexibly to changing stakeholder needs. ● Effectively deliver stakeholder wants and needs. ● Promote team communication and collaboration. ● Explain what a burndown chart is. 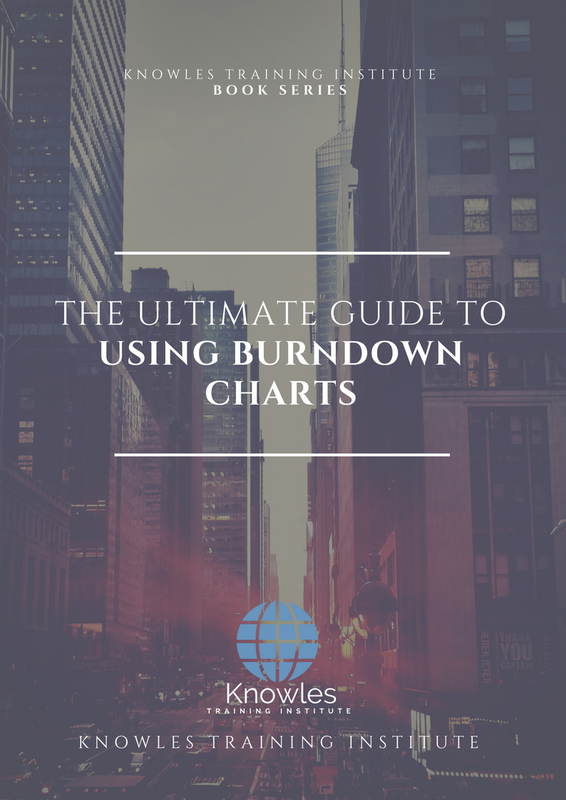 ● Know the benefits of working with a burndown chart. 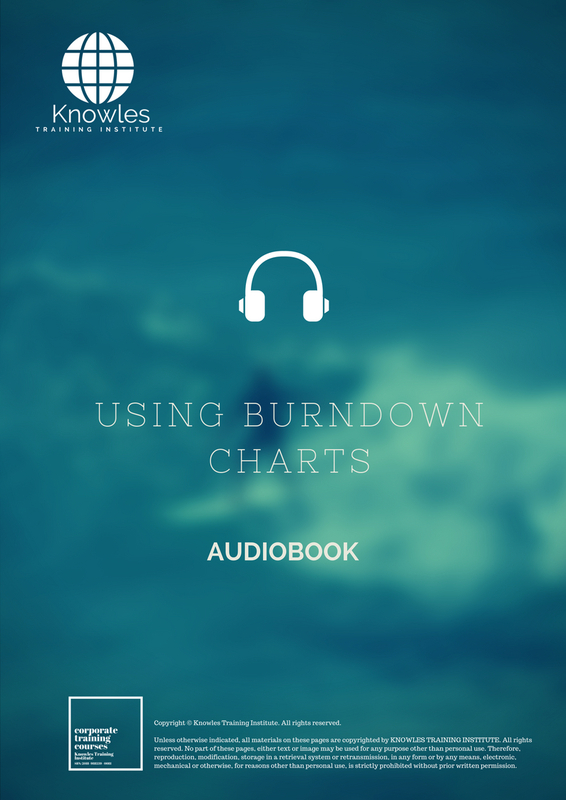 ● Understand the challenges of working with a burndown chart and how to resolve them. 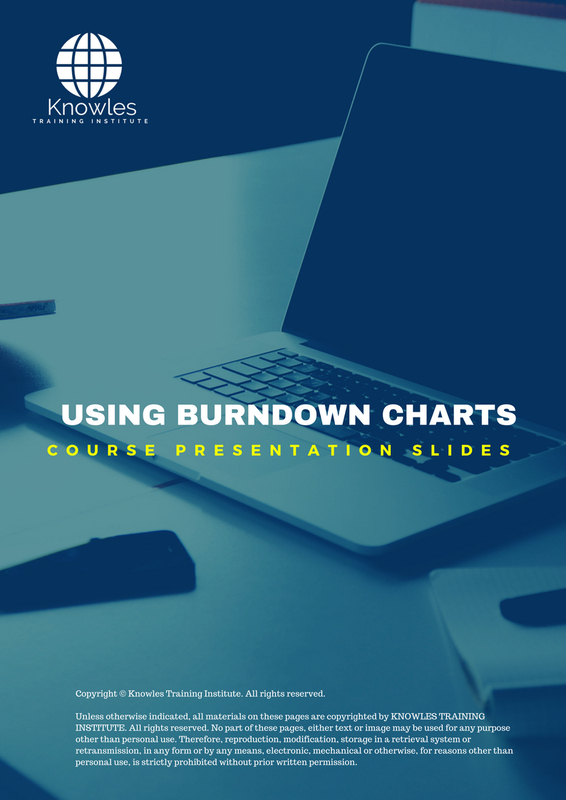 ● Know how to use a burndown chart to improve project management. ● Explain what the eight components of a burndown chart are. ● Know how to do proper analysis on your burn down. ● Avoid making common mistakes when creating a burndown chart. ● Know how to update a burndown chart to keep the information accurate. ● Use a burndown chart to removing variability in time estimates. ● Use a burndown chart to alert project teams of potential problems or bottleneck situations quickly. ● Use a burndown chart to monitor resource allocations. ● What is the burndown chart? ● Benefits of working with a burndown chart. ● Challenges of working with a burndown chart. 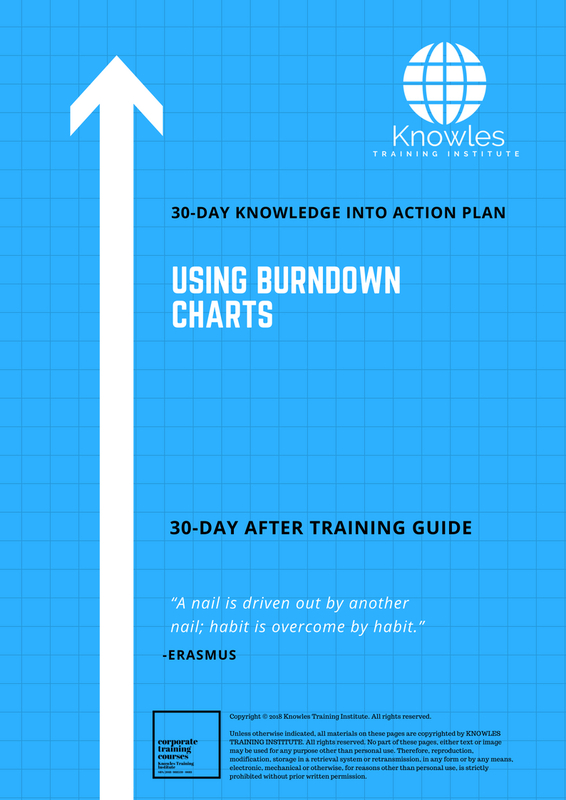 ● How to use a burndown chart. ● The 8 components of a burndown chart. ● Common mistakes to avoid when creating a burndown chart. 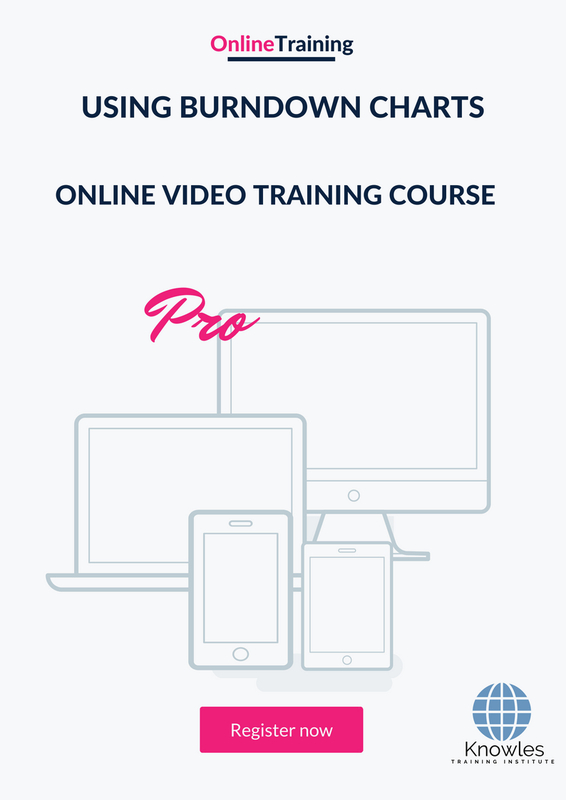 There are 3 pricing options available for this Using Burndown Charts training course. 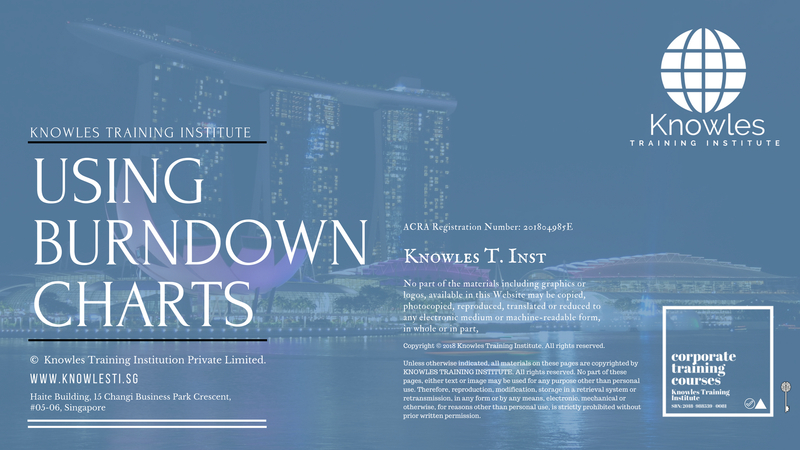 Course participants not in Singapore may choose to sign up for our online Using Burndown Charts training course. Request for this Using Burndown Charts course brochure. Fill up the short information below and we will send it to you right away! Register For This Using Burndown Charts Course Now! 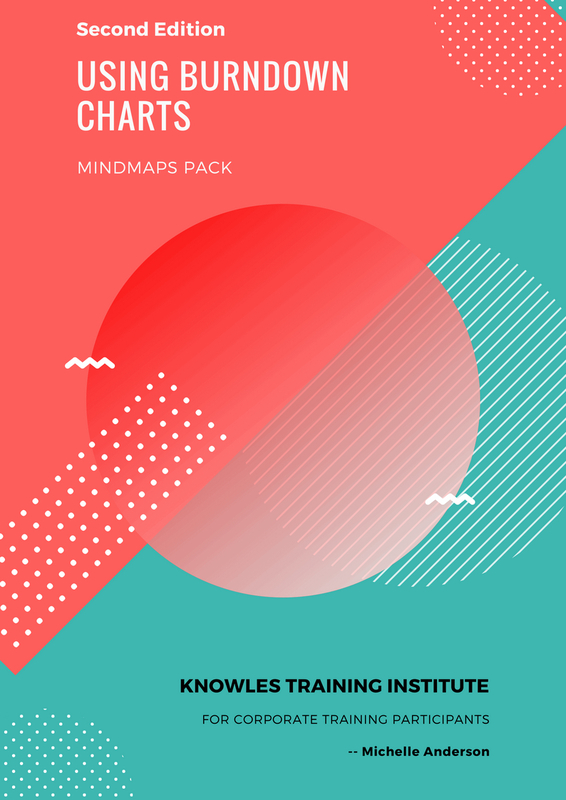 Share This Using Burndown Charts Training Course! 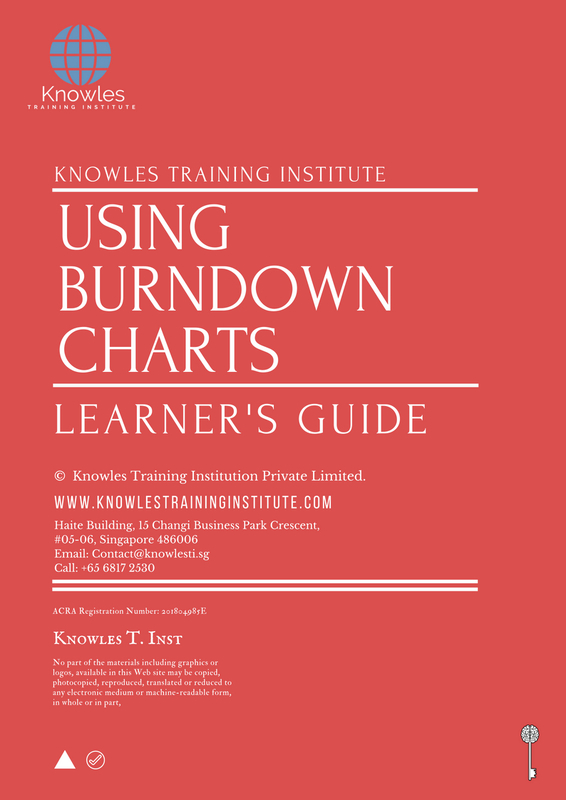 Using Burndown Charts course, workshop, training, class, seminar, talk, program, programme, activity, lecture. 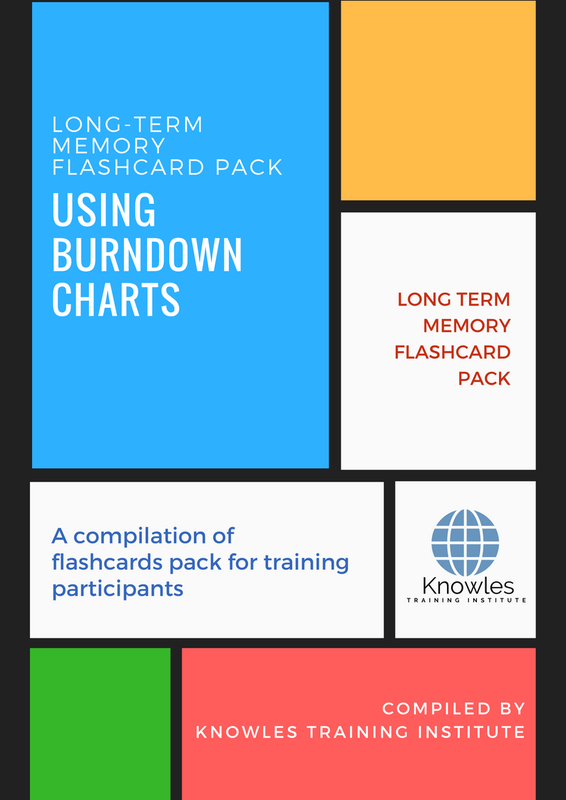 Using Burndown Charts courses, workshops, classes, seminars, talks, programs, programmes, activities, lectures in Singapore. Using Burndown Charts improvement tips, Using Burndown Charts techniques, improve Using Burndown Charts, improve Using Burndown Charts games, Using Burndown Charts improvement exercises, improve Using Burndown Charts power, how to have good Using Burndown Charts, how to have good Using Burndown Charts in studying, how to build up your Using Burndown Charts, how to improve Using Burndown Charts how to improve Using Burndown Charts course in Singapore. Enhance, boost, build up, enlarge, heighten Using Burndown Charts course in Singapore. Increase, intensify, raise, reinforce, strengthen Using Burndown Charts. Upgrade, amplify, boom, elevate, exaggerate, magnify, grow, gain Using Burndown Charts. Develop Using Burndown Charts, multiple, power up, beef up, bolster, establish, extend Using Burndown Charts. Invigorate, restore, step up, toughen, empower, fortify, regenerate Using Burndown Charts. Rejuvenate, renew, escalate, expand, maximize Using Burndown Charts. Powerful, mighty, impressive, competent, great, excellent, exceptional Using Burndown Charts in Singapore. Superb Using Burndown Charts. Super, superior, strong, solid, active Using Burndown Charts training courses and workshops in Singapore. Using Burndown Charts enhancement, booster, building up, enlargement, heightening, increment, strengthening, amplification. Using Burndown Charts magnification, growth, development, power, empowerment, regeneration. Using Burndown Charts rejuvenation, development, escalation, expansion. 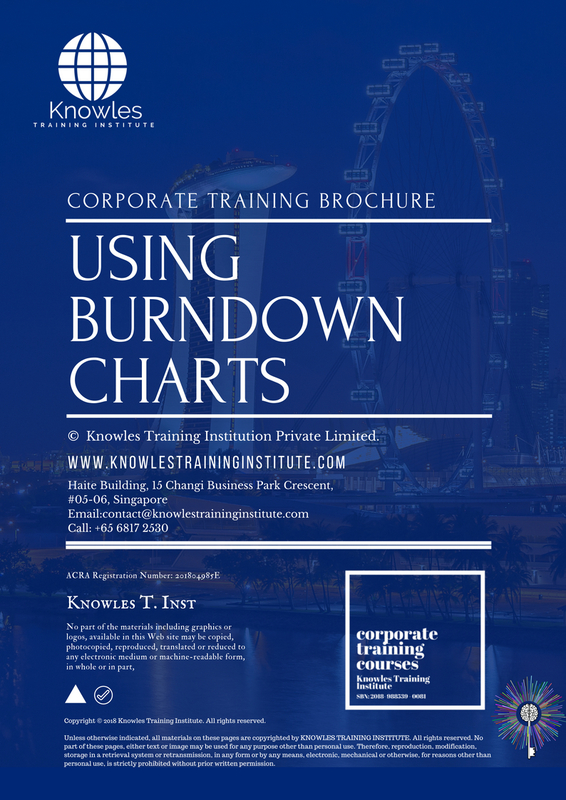 Using Burndown Charts maximization, power training courses & workshops in Singapore.